16th century. 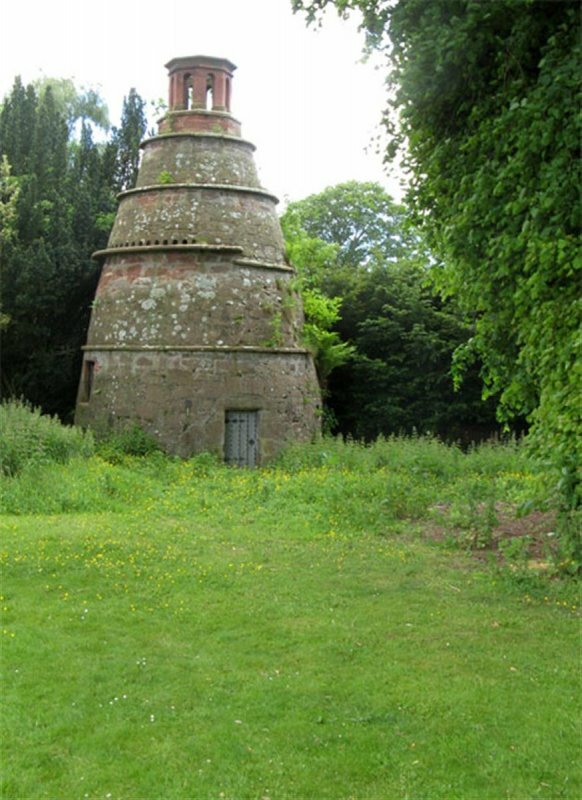 4-stage, beehive dovecot, tapering to a late 19th century, hexagonal birdcage cupola. 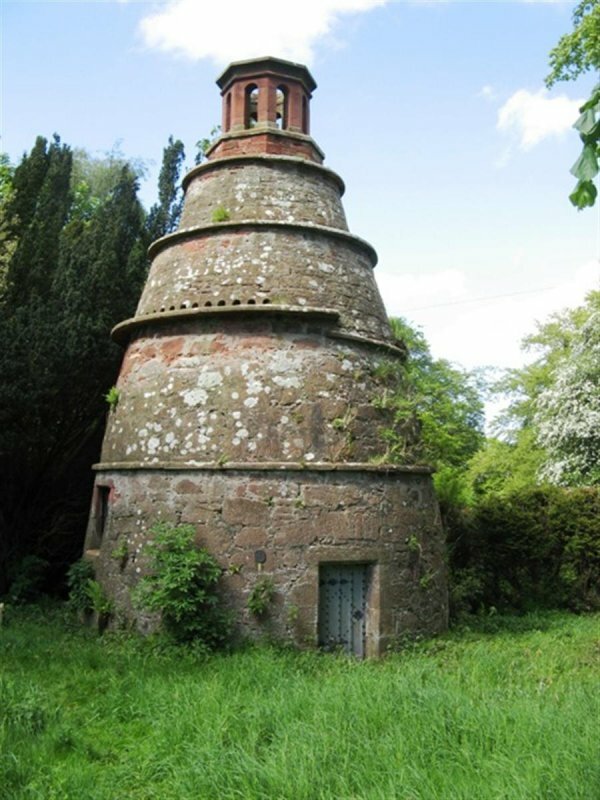 Rubble with dividing rat courses; dressed red sandstone cupola on rubble base. 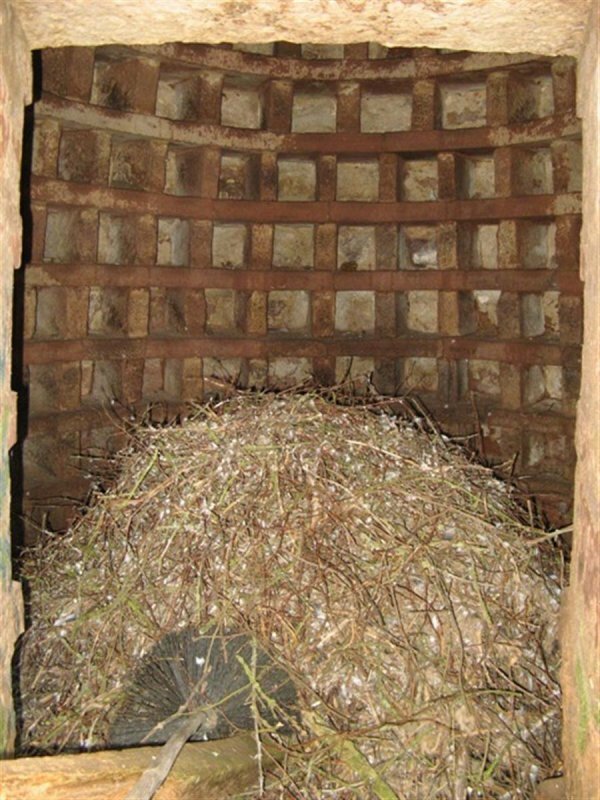 Dovecot reaches 22' with walls 3' 8" thick. Low door with chamfered arrises to surround, and window on ground stage currently blocked. 24 flight holes above 2nd stage rat course. 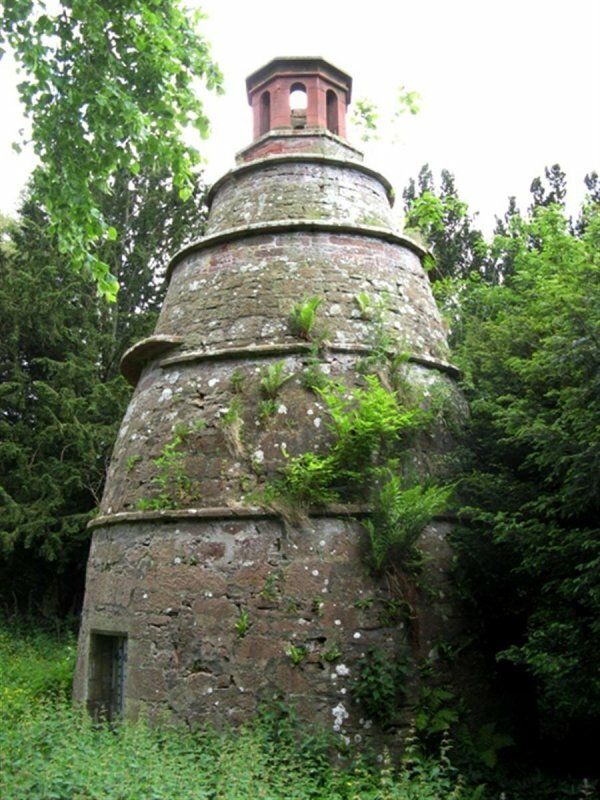 Former lean-to roof to cupola bearing stone thistle, now disappeared. 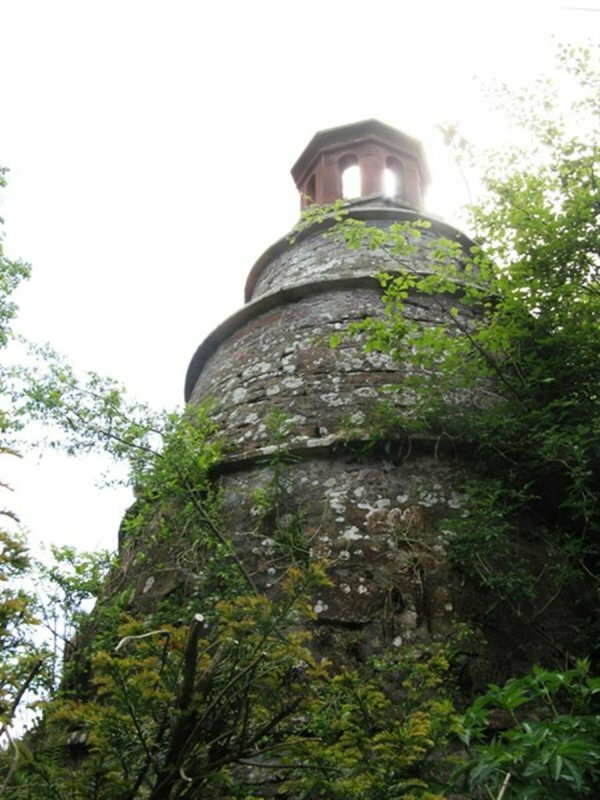 June 2008: External inspection finds fairly heavy foliage growth externally, with a large collection of guano having accumulated internally. A door/ window is missing and the structure has no addition security. 14 October 2014: External inspection finds the building remains in much the same condition as seen previusly. STV news website reported in Sept 2013 Nunraw Abbey Tower was being placed on the market for sale. 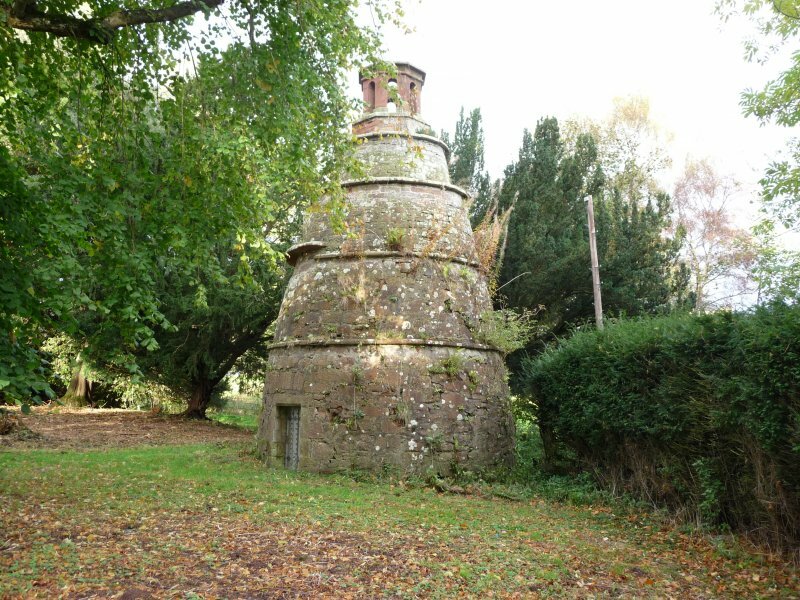 The Tower was latterly in use by a Cistercian order of monks as a retreat. Nearby Sancta Maria Abbey will remain in use by the religious order. 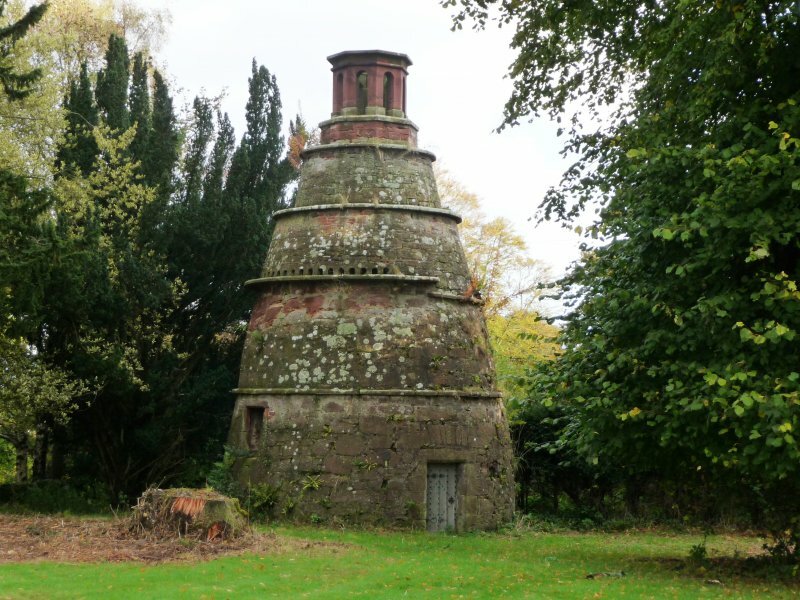 The Tower, marketed for sale with the doocot, sundial, North Lodge and Gates, is understood to have been sold in Jun 2014. TRANSACTIONS OF EAST LOTHIAN ANTIQUARIAN AND FIELD NATURALISTS vol. 111 p.16. RCAHMS INVENTORY No 45.